Enjoy the best inspirational, motivational, positive, funny and famous quotes by Aaron Fricke. Use words and picture quotations to push forward and inspire you keep going in life! I never had a low self-esteem that would make me gay. At one point, though, the reverse happened. 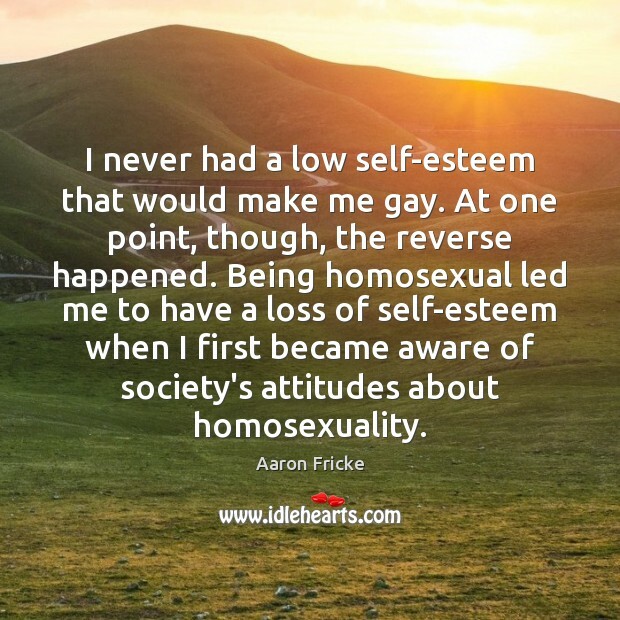 Being homosexual led me to have a loss of self-esteem when I first became aware of society's attitudes about homosexuality.